Let's keep the good times rolling! Leave-in conditioners are fairly easy for me to decipher and work through, because I haven't tried *that* many. I mean, I've tried quite few in 2014, but there were only a handful that I purchased repeatedly or kept in serious rotation. Again, just like every other Christina's Choice list, there may be a product I gave a great review to that has not made it on to this list. That does not mean it isn't a phenomenal product, my review still stands (unless I do an updated review and tell you I hate it). There's a huge difference between good, great, and essential. The Best of the Best products are essential to my product collection. Good and great are nice, but essential is well, essential. 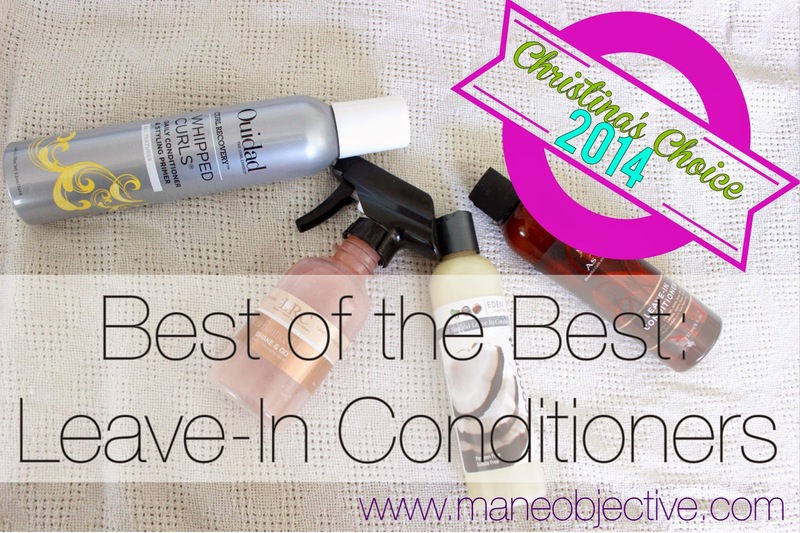 I can honestly say that I undervalued As I Am's Leave-In Conditioner for quite some time. I thought it was only okay until I figured out the key to making it work. Not only is it a phenomenal companion to the As I Am Curling Jelly (which I totally need to revisit from this summer), it works mighty well under the notoriously difficult Eco Styler gel. Any of of you that use Eco Styler for curl definition know that it is incredibly difficult trying to find products to pair with, so the fact that As I Am's Leave-In Conditioner does the job is a miracle in and of itself. It's lightweight, yet moisturizing, creamy but not greasy, and smells amazing. Oh, and the trick to making it work for me? Water. This product works best when applied to soaking wet hair, then sprayed or worked in with wet hands. My leave-in application method of choice is the shower. I am honestly realizing right now that I'm a total slacker in the "leave-in conditioner product reviews" section of my blog. I'm gonna fix that #2015HereICome! I gained a tremendous appreciation for Eden BodyWorks in 2014. I liked EBW as a transitioner, but I couldn't really appreciate the full scale of what this cost-effective product line could do for me until I was fully natural. The leave-in is super thick, has tons of slip, and coats the hair gorgeously. The first ingredients after water are aloe vera juice, coconut oil, jojoba oil, and safflower seed oil, so you know what time it is! I highly recommend this one for anyone suffering with super dry hair that's looking for a leave-in. It's also the perfect leave-in for those of you who have a curl definer that leaves your hair dry (but makes those curls pop...ahem TIGI Catwalk). It's the perfect buffer! And yes, I'll be doing a review on this one too. For a number of different reasons, these products are just a few bottles short of holy grail status. But they're most certainly worth mentioning! I have the most on-and-off again relationship with Aussie Moist Conditioner, but I cannot help but mention it. It's a solid all-around product, as far as detangling, cowashing, and conditioning are concerned. Even still, I love it more and more as a leave-in -- running it through my hair, and squeezing the excess or rinsing it a little. It leaves my hair shiny, soft, and de-frizzed. I give Aussie and Target the side-eye for inching up the price a little over the years while shaving the bottle size down, but not enough for me to raise a total stink over. 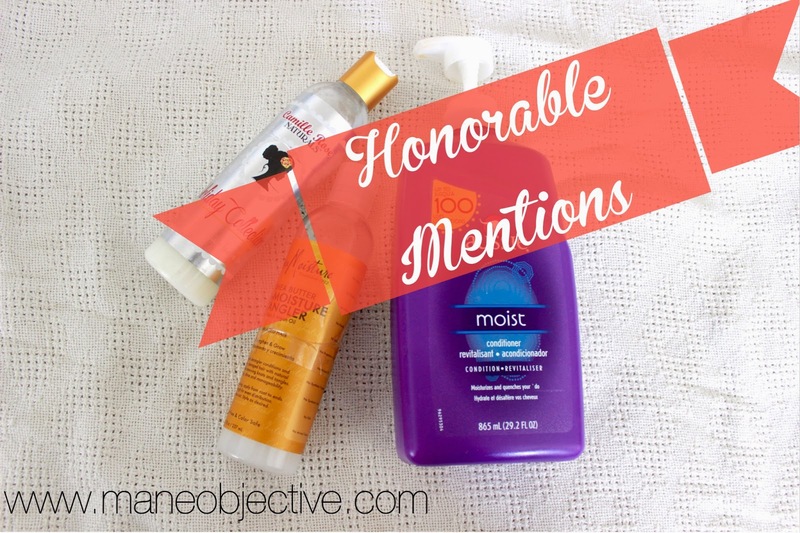 Aussie Moist Conditioner gets an honorable mention because I have been using it since my early transitioning days, but I find myself using it for a few months, taking a break, and then repeating the cycle. This one honestly crept up on me. For the longest time, I had been seeing the Extra Moisturizing Detangler on shelves at CVS and Target, but didn't think much of it. It wasn't until Jess (Mahogany Curls) put me up on game at Afrolicious about it. I know she's a Shea Moisture Ambassador, but feeling truly was believing. After she gave me permission to touch her hair (lol), I was hot on the heels of the CVS BOGO Free for Shea Moisture and copped two. It has been in my rotation ever since, as either a leave-in or moisturizer. It functions wonderfully as both, but I'm still trying to crack the code on using it to detangle. Look for a review as soon as I get that last piece together! Well, that's all for leave-ins! 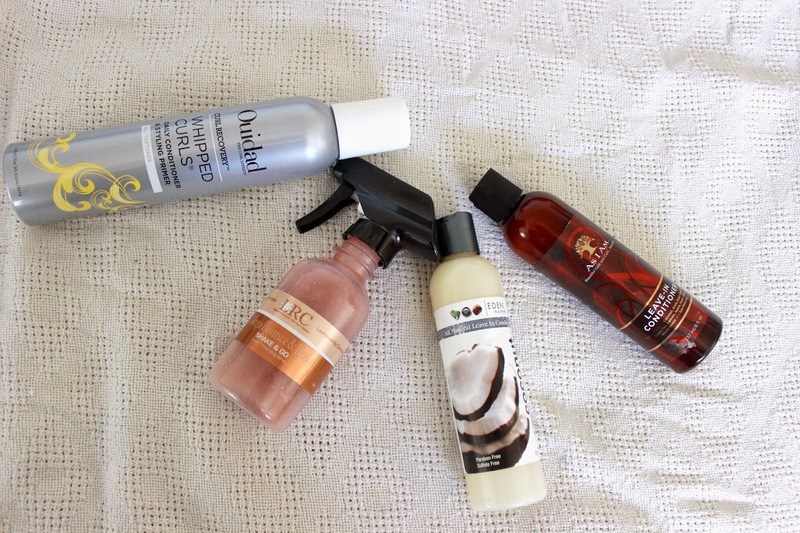 Up next, I'll be sharing my picks for moisturizers! Stay tuned!